Balinese Massage Therapy is an alternative technique which involves locating pressure points long the Meridian Lines through Kneading and manipulating soft tissue. This therapy helps prevent sports injuries, treat existing injuries, improve performance, reduce stress and free the body from toxins. Balinese Massage Therapy is a hands on treatment using a combination of massage and stretching, which strengthens and releases the soft tissue (muscles, fascia and tendons) and increases the range of movement in joints. Swedish massage therapy is very effective at relieving anxiety and is often used to help alleviate the symptoms of stress and depression. It’s impossible to feel stressed during and after a Swedish massage. 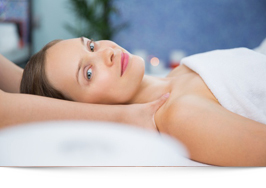 The pressure applied during the massage relaxes tight muscles and relieves tension. The stimulation to the skin is deeply relaxing, and it is common to feel a deeper sense of connectedness with your body during a Swedish massage. You become more aware of the muscles of your body as they are massaged, and this helps clear the mind of anxiety and dissipate depression. 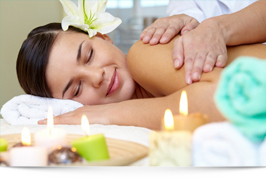 Swedish massage also promotes healthy sleep, which is one more way it helps the body heal itself. Whether insomnia or poor sleep is related to depression, anxiety, the onset of aging, or illness, Swedish massage can promote better sleep. This in turn can support the healthy function of the immune system, relieve anxiety and depression, and support energy levels. 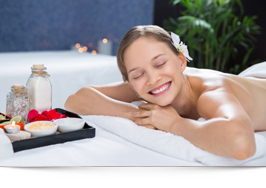 Aromatherapy massage has a more holistic approach to the massage and may include some of the principles on the list above, yet will concentrate on more relaxing strokes, but of prime importance is the selection of essential oil/s used during the massage, since they are chosen for their therapeutic effect, and not the fragrance as such. 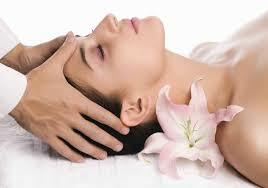 Aromatherapy treatments have both physiological and psychological effects. The combination of massage and the medicinal and therapeutic qualities of the essential oils (molecules both inhaled [aroma] and absorbed through the skin) can soothe, revitalize, uplift the spirit, encourage positive thinking and boost the immune system enabling the body to heal itself. Thai massage is a therapeutic massage and a traditional treatment for relieving stress and tension, and for the treatment of back pain, stiff neck, shoulder pain, and sports injuries including muscle and tendon strain. Traditional Thai Massage technique is known as the most holistic type of therapy. 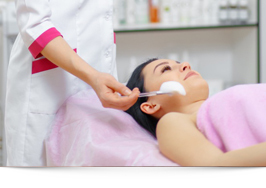 It combines modern scientific knowledge of anatomy of physiology with the disciplines of traditional oriental medicine. It employs combinations of rhythmic acupressure, body rocking and deep assisted stretches to relieve muscular tension and enables more blood to be carried throughout the body. A number of gentle techniques are carried out on the floor using the feet, knees, elbows, palms, forearms and thumbs. Treatment generally falls into one of two categories; full body routines and localized therapy and may last between 30 minutes to 2 hours. A traditional massage technique of applying gentle pressure to the reflex points on the feet. Designed to ease knots of stress on the back and upper back. Catering to the upper back, this massage is a great stress reliever. De-Stress at its best; for the most stressed out areas of upper body. Made from brown sugar from the West Indies and Sweet Almond Oil, this scrub has a subtle vanilla perfume, is very gentle on the skin leaving it nourished and soft.